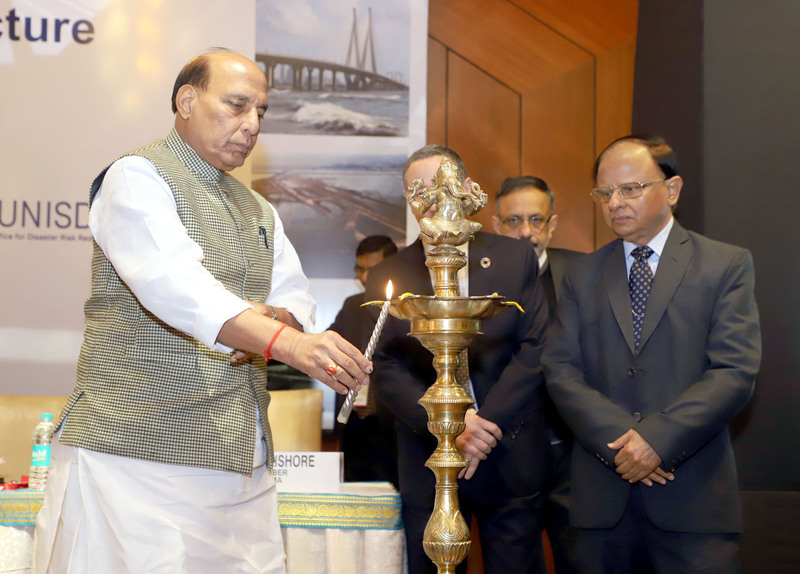 The Union Home Minister, Shri Rajnath Singh lighting the lamp to inaugurate the International Workshop on Disaster Resilient Infrastructure (IWDRI), in New Delhi on January 15, 2018. The Additional Principal Secretary to the Prime Minister, Dr. P.K. Mishra is also seen. 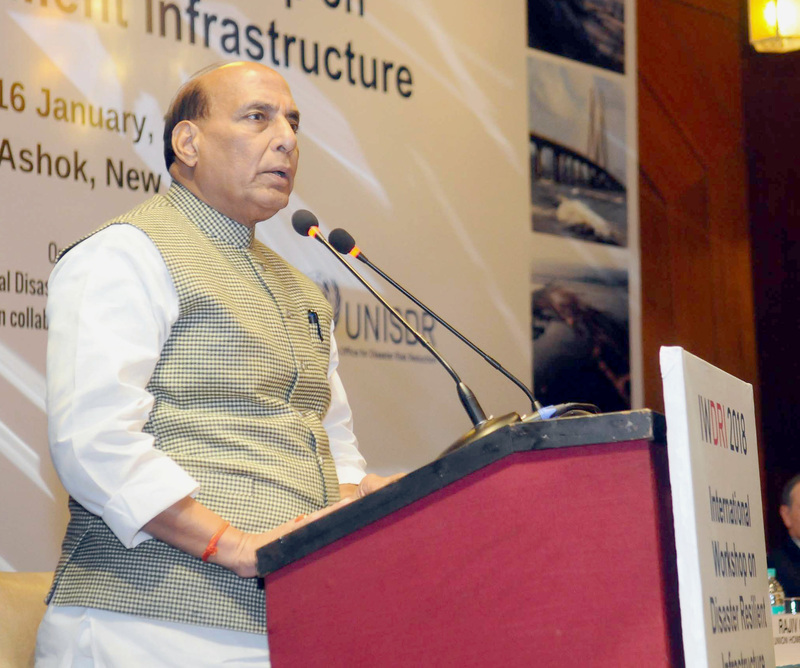 The Union Home Minister, Shri Rajnath Singh addressing the inaugural session of the International Workshop on Disaster Resilient Infrastructure (IWDRI), in New Delhi on January 15, 2018. 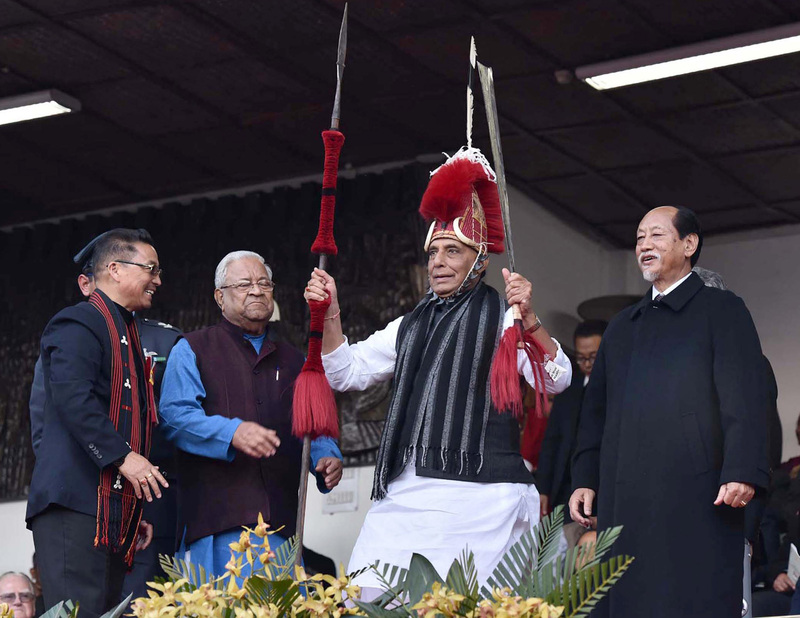 The Union Home Minister Shri Rajnath Singh inaugurated the International Workshop on Disaster Resilient Infrastructure (IWDRI) here today. 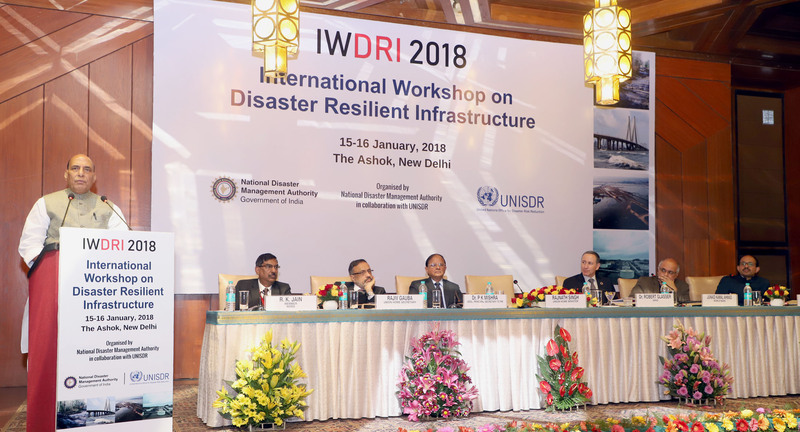 The two-day workshop is being organised by the National Disaster Management Authority (NDMA) in collaboration with United Nations Office for Disaster Risk Reduction (UNISDR).